Our keyboard configurations are designed to help you with a variety of trading styles and strategies. But we know that sometimes, you know exactly what you want. So we offer standalone keyboards you can design yourself. Simply order the keys you want from our Key Catalog and create your own custom keyboard. The standalone keyboard comes with a 12 month Limited Hardware Warranty, and usage rights to Access-IS' SoftProg software to program the keyboard. To learn more about SoftProg, visit Access-IS' website. If you want to use a customized keyboard in combination with Keyboard Trader software, click here and order using the Software Registration for the appropriate trading platform. 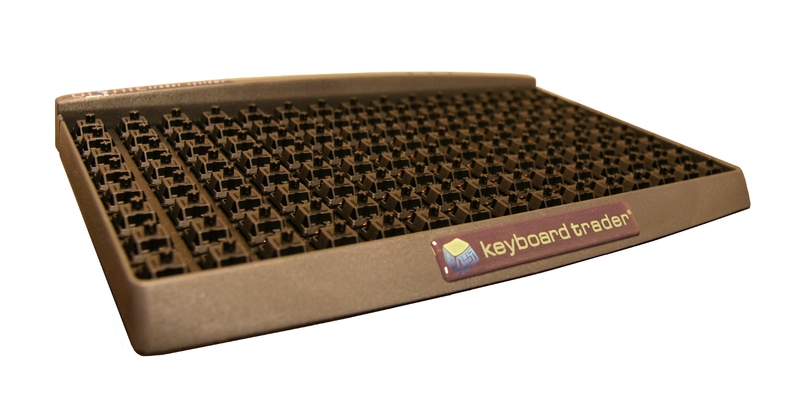 If you only want to purchase keyboards/keys, you can use the Keyboard & Key Order Form or email us at sales@keyboardtrader.com. 1All custom key designs come at an additional charge. Bionic Trader Systems will own all rights to custom key designs, including the right to offer the new design(s) in our Key Catalog. Custom key designs are not refundable.